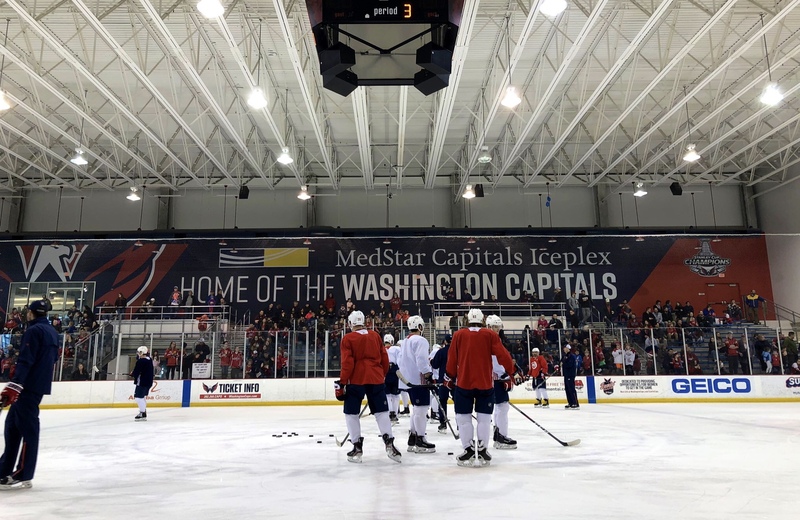 The Capitals were back to work Saturday morning at MedStar Capitals Iceplex following their disappointing 2-1 loss to the Minnesota Wild Friday night at Capital One Arena. 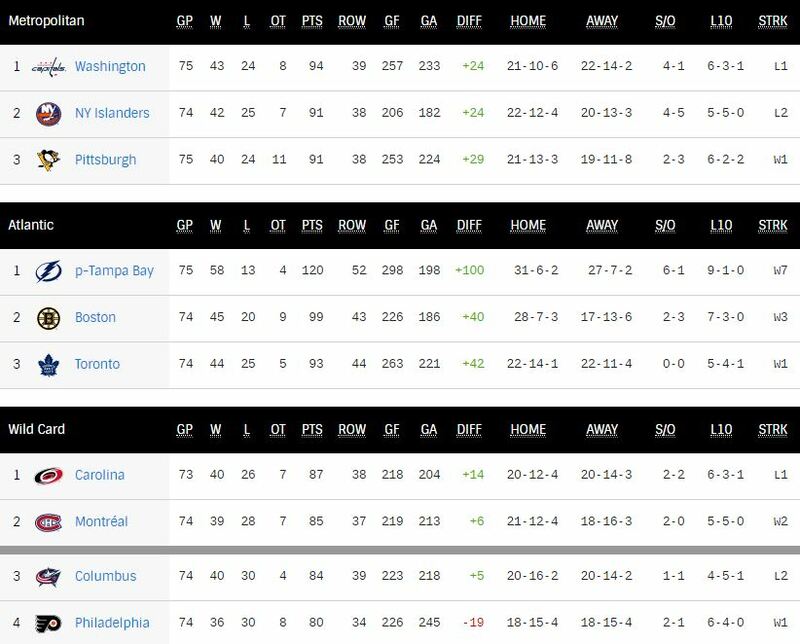 The Capitals have dropped two straight for the first time since January, but remain three points ahead of the New York Islanders for first place in the Metro. The Capitals next host the Flyers Sunday afternoon at 12:30 PM. Carl Hagelin returned to the ice for Capitals practice this morning at MedStar. Hagelin missed last night’s game due to illness. Evgeny Kuznetsov was not feeling well this morning, so the team has sent him home. As expected, Michael Kempny was not on the ice for practice this morning. Practice is starting. As expected, Kempny is not out there. Another notable absence: Evgeny Kuznetsov. He was not feeling well and Caps sent him home. His status for tomorrow is TBD. Practice lines this morning were tweaked due to the absence of Kuznetsov. Per @CapFriendly, Caps could afford Lewington at 5 today. The Capitals have seven games remaining in the regular season, and the Islanders have eight left on the schedule. The Islanders will play tonight, while the Capitals are off. Starting tomorrow (Sunday) both the Capitals and Islanders will have seven games remaining in the regular season, with both playing on the same days for the remainder of the regular season. Brett Connolly tied last night’s game at 1-1, with his 21st goal of the season and his fourth goal in his last five games. Since returning from the All-Star break on Feb. 1, Connolly’s 12 goals lead the Capitals. This season, Connolly is the only player in the NHL that has accumulated 43 points and averaged under 14 minutes or fewer a game (13:17 TOI). Nick Jensen recorded the primary assist on Connolly’s goal, his second as a Capital and his 15th of the season, tied with his career high, set last year. The Capitals’ 58 shots on goal against the Tampa Bay Lightning on Wednesday night established a new franchise record for the most shots they’ve recorded in a single game (previously: 55 shots, Dec. 18, 2005 versus Florida). This entry was posted in News and tagged Carl Hagelin, Evgeny Kuznetsov, Jon Sorensen, Minnesota Wild, Philadelphia Flyers. Bookmark the permalink.